Teens and Privacy: Should I “Spy” on My Child? Note from James: A lot of the things we do to protect our children might be considered “spying” by our kids, but they are in fact measures we take to keep them safe from others, as well as from themselves. I hesitate to use the word “spying” because it has a negative, sneaky connotation. But it’s a word parents understand and use when we talk about looking through our kids’ things, so we decided to use that characterization here. Parents often wonder how much privacy their children need and ask me if it’s okay to violate it. Personally, I believe there should be a direct link between the amount of responsibility, consistency, and honesty that kids show and the amount of privacy they’re allowed to have. But, before we get to the subject of spying on your child, I want to talk a little about adolescent privacy. Adolescents need to separate and individuate. What that means is that they want to have a life of their own, and adolescence is really about preparing them for that. You should know that part of that process includes forming boundaries. To put it simply, boundaries are where your child ends and you begin. When a child is little, there is literally no separation: the child receives milk from its mother. And then as that child develops and gets older, a natural and healthy separation begins. The day comes when your child goes to the bathroom and closes the door because he wants privacy, and he gets embarrassed if someone walks in. This separation is a natural part of human relationships, and as teens get older, the lines of separation begin to form and become clearer. Parents and kids often fight over where the boundaries are drawn, but your child’s need to separate is very important. That’s why I think it’s important that kids have privacy. They should have a room where they can go and just close the door. Even if they share a room with siblings, I think each child should have a place where they can have “alone time” and it’s respected by the family. By the way, I understand that many parents go into their kids’ rooms to straighten up, pick up dirty clothes, and clean up: things we want our teens to do, even though they often don’t do it as much as we’d like. I don’t refer to that as “spying”—I call that doing what parents do. I think the term “spying” should be reserved for when parents start going through their kids’ closets and drawers, searching their phones, looking through their backpack and pockets, and other activities of that nature. If you have a teenager who is responsible, respects her curfew, is where and with whom she said she would be, and is generally trustworthy and honest, then I suggest you stay out of her room. She’s earned your trust. And I think you should tell her that, too. You can say something like, “I’m not going to interfere with your privacy, because you’re doing so well. I have no reason not to trust you.” That way, she knows she’s being rewarded for her behavior—your lack of interference in her personal space is a direct result of her actions. Let me be clear: I believe the whole game changes if you have discovered something incriminating or if you have a very real suspicion about your child’s risky activities. When faced with this situation, many parents will ask me if they have the “right” to look in their child’s room. To be honest, I don’t like talking about rights; the word is just too overused in our culture. But here’s the deal: I believe that whoever’s name is on the mortgage has a right to look anywhere in their house. In my opinion, that’s your right because you own the house. Even more importantly, you have a responsibility to protect your kids from themselves, even if they don’t want that protection. Instead of talking about rights, I prefer talking about responsibility, accountability, and obligations. Instead of talking about rights, I prefer talking about responsibility, accountability, and obligations. I think once something triggers your suspicion and it’s real—if you think your teen might be using drugs, drinking or engaging in other risky behavior—you have an obligation and a responsibility to your child to look in their room. One empty beer can is sufficient. If you find alcohol or drugs or pills, I think you have to start looking around, because your responsibility is to try to protect your child from himself. And in order to accomplish that, you need knowledge. Remember, knowledge is power. When I say power, I don’t mean hitting something with a hammer—I mean the power of knowledge when you understand what’s going on, when your eyes finally open and you see something clearly. Some parents actively monitor their child’s phone, computer, messaging apps, email, and internet browsing histories. Parents with the know-how may be able to see their kid’s entire personal life. Now I’m not necessarily suggesting you do that, but I do see that as fair. Remember, it’s not like we as parents have to respect all kinds of privacy for our kids and then they get to do whatever they want to do. You can’t have two sets of values. It’s not as if, “I have to be good and you can do whatever you want.” Rather, “If you don’t meet your responsibilities to take care of yourself and to stay safe, then I’m going to do whatever is necessary. If that means looking in your room, looking in your drawers, and looking on your computer and phone, that’s exactly what I’m prepared to do.” In my opinion, doing that kind of thing after you’ve caught your child engaging in risky behavior is one of the few tools parents have. Many parents will ask, “Why should I tell him I’m going to check his room? He’ll only hide it outside of the house.” But that’s not your problem as a parent. Your responsibility is to be upfront and clear. If he hides it outside of the house, he hides it outside of the house—remember, after the first time you find something, he’s going to hide it outside the house anyway. That’s his choice. But you’re making the rules in your house and I think you should be very clear and open about that. 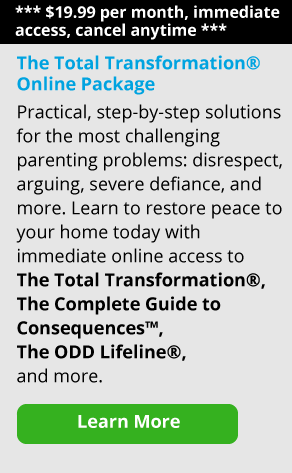 It’s terrible when you’re trying to be a “good enough parent” and then your child gets into trouble with drugs, drinking, and other risky behaviors. On top of that, our kids are told a lot of nonsense about what we parents can, should, and shouldn’t be able to do. In my practice, I tell parents that it’s okay if they need to search their child’s room. If their kid says, “You can’t do that, I’m going to call the cops,” then offer to call the cops for them. Related content: Is It Time to Call the Police on Your Child? In general, I think parents should be checking up on their child after a major infraction—and giving them effective consequences—as an obligation and a responsibility. When kids are caught with something incriminating, many of them will try to turn it around and say, “I can’t believe you went into my room!” They make it seem as if the parent has done something wrong. Turning things around is a tactic kids use to put parents on the defensive. They create an argument as a diversion to avoid taking responsibility for their actions or behavior. Below are a few tactics kids use when in this situation and ways for you as a parent to make sure the discussion stays on track. And then turn around and walk away. If your child says, “I’m ready now.” Tell him, “No, we have to wait 15 minutes. I’m not calm enough now.” Go sit down, take a walk, go have a cup of tea. And then come back, talk about it, and explain the consequences for their actions. Kids will also say, “Well, it’s not even mine. I’m holding it for a friend.” I think you should respond, “I don’t want to hear any of that. It’s your responsibility not to bring drugs into this house and you’re going to be held accountable for it no matter what you were doing.” Kids will also try to tell you that they’re being noble, that they’re doing it to “save a friend.” Don’t fall for that tactic. Tell your child, “You brought it into the house. It’s in your possession. It’s your responsibility.” Look at it this way, if the police stop you and you have illegal drugs and you tell the police it’s your cousin’s, they don’t care. You are in possession and therefore you are responsible and that’s all that matters. As I’ve said, adolescents are real pros at changing the subject. If you say, “How come I found an empty beer can under your bed,” they might reply, “Why are you spying in my room—why don’t you trust me?” But that’s not the issue. The issue is that your child had an empty beer can under his bed. Holding him accountable is not spying, and you’re not violating his privacy or rights. Don’t get dragged into the fight. Say, “We’re not talking about trusting you. We’re not talking about violating your privacy. You know the rules in this house. There are no drugs and alcohol allowed, both in the house and for your own personal use. That’s the issue, not your privacy. We’re going to talk about this in an hour, and I want you to be ready.” And turn around and leave the room. If you spy on your child without cause and find something incriminating, I think you have to sit down and say, “Listen, I did something today that you’re not going to like. I went into your room without your knowledge and I looked around. And while I know you don’t like that, and I know that I told you I wouldn’t, I did it today. And I accept that you’re angry. If there’s some way I can make it up to you, I will. But while I was in there, I found some cough syrup bottles. And we’re going to have to talk about that and deal with it. And I want an answer as to how they got there and why they are in my house.” And if your child gets really incriminating and tries to turn it around, if he starts escalating and yells, “You promised you wouldn’t go in my room,” you can say, “We’ll talk about this when you calm down. I’ll be back in half an hour.” And turn around and leave. In this case, I think you should admit you were wrong and say you’re sorry if that’s the case. But also, the issue at hand has to be dealt with. Some things are just that important. Is It OK to Take the Door Off My Child’s Bedroom? I’ve known families where they’ve taken the door off the bedroom of an acting-out child. My question for them is always, “Well, how’s he going to have any privacy?” If you take their door off, in my opinion, you’d better have a good reason. If your child is smoking pot in his room and hanging out the window, I think that’s a good reason. But ask yourself this: once you take the door off, how are you going to let him earn it back? It’s not, “The door’s gone forever.” And it’s not even, “The door’s gone for a month.” It’s, “The door’s gone until you…” Just like we teach in The Total Transformation, give him a task-oriented consequence. Again, giving a child privacy as to what goes on in their room or what’s in their drawers is a privilege you give them because they are trustworthy and honest. In my opinion, it’s not a right. And your kids should know that if they violate your trust, one of the things that are going to change is that you are going to be watching them more carefully. And yes, that might mean going through their drawers or closet or looking through their phone. But that’s the price they pay for being dishonest and untrustworthy. We all have to learn in life that losing someone’s trust is a very powerful thing. People get fired from their jobs when they violate the rules and can no longer be trusted. Trust is not something that can be taken lightly, both inside your home and out. It’s not spying when you decide you have to take extra steps to keep your kids safe from what’s going on in the outside world and from their own poor decisions, especially if you have other children in the home. Note: If you need support and guidance for your child’s substance abuse issues we recommend starting with The Partnership for Drug-Free Kids or setting up an appointment to talk with one of our online parent coaches. 3. My Child Is Using Drugs or Drinking Alcohol—What Should I Do?